When you begin to feel you are a spiritual being which, in fact, you are, you begin to activate the medicine wheel in your life. Vision is not forecasting the future. Nor is it walking around with your head in the clouds or peering into crystal balls. It is a creative act. It is creating the future by taking action in the present. Writing makes a map and there is something about a journey that begs to have its passage marked. Journal writing is a voyage to the interior. You are conversing with someone much wiser and saner as you write: your authentic self. Writing is a means of prayer. It connects us to the invisible world. It gives us a gate or a conduit for the other world to talk to us whether we call it the subconscious, the unconscious, the superconscious, the imagination, or the muse. Writing is a spiritual housekeeper. Writing is a spiritual tool. We undertake it solo (soul-o). Moving alone onto the page, we often find ourselves companioned by higher forces, by a stream of insights and inspirations that seem somehow other than our routine thinking. Your own words are the bricks and mortar of the dreams you want to realize. Your words are the greatest power you have. The words you choose and use establish the life you experience. We do not write in order to be understood. We write in order to understand. Telling a true story about personal experience is not just a matter of being oneself or even finding oneself, it is also a matter of choosing oneself. Leave self-consciousness at the gate. A journal's destination is itself. Live life then write it. Greetings! I know some of you think my newsletters may be way too long for newsletters, but I write to convey as much information related to a topic in as concise manner as possible. 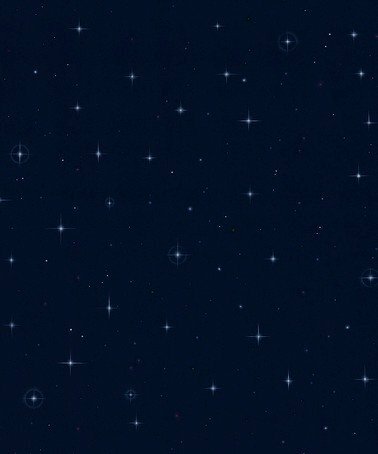 This month's newsletter may be a bit longer than usual because I wanted to present two new offerings that I have created that are designed for those who want to expand their spiritual practice without leaving home to do so. The first offering is Journal Quest and the second is The Wheel: An Online Shamanic Apprentice Program. I invite you to read the material and if you are interested in a consultation about these offerings, please contact me. A vision quest is a Native American rite of passage, similar to an initiation. In traditional the Lakota culture, Hanblecheyapi (crying for a vision) is one of seven sacred rites. A vision quest is a journey alone into the wilderness to seek personal growth and spiritual guidance from Great Spirit. The seeker finds a special place and sits in a rectangle, approximately 4-6’ wide and 6-8’ long. Usually the seeker brings nothing with them except water and a blanket. A usual vision quest lasts 4 days within this rectangle. The isolation in nature and the associated hunger is designed to trigger a vision or a message from Great Spirit. Visions from a quest can guide an individual for a lifetime. Vision quest is a time of transition, a death or ending of something old, and a passage to new beginnings. In that respect, preparation for quest is a psychological grieving process. Thus vision quest is done with great sacredness. 1. Severance (Departure) - Severance begins as soon as you answer the call to quest. You prepare to die to an old life as the unknown awaits you. To prepare emotionally, you must be willing to separate, detach, and let go of the old. 2. Threshold (Trial/Initiation/Transformation) - This is the time of aloneness, hunger, exposure and the trials that test your spirit and your purpose. Threshold is entering into sacred space, ritual and ceremony, and being with Great Spirit, one on one. You must empty out that which no longer serves you before you can be filled with something new. You awaken to a new way of seeing. 3. Incorporation (Return) – A quest never really ends because the vision is brought back to make your life better and to create changes for you and your people. 1. Gaining power and clarity through self-discovery of life goals and purposes. 2. 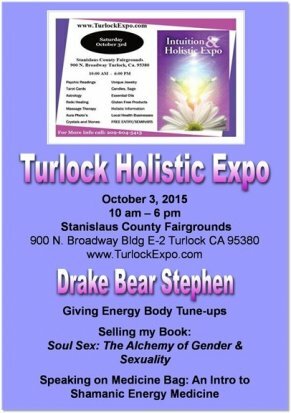 Healing emotions, relationships, and illness. 3. Receiving a vision or message that will spiritual helps your soul. 4. Develops self-confidence by surviving in the wilderness and your fears alone. 5. Strengthens connections to your higher self, spirit guides, nature, Great Spirit, and Mother Earth. 6. Taps directly into your own source of wisdom assistance from books, churches, or teachers. 7. Fosters a greater appreciation of life after the temporary deprival of material comforts. Vision quest is not only a Native American tradition. A very famous vision quest was done by Usui Mikao, a Japanese doctor. During his 21 day fast on Mount Kurama, he received the wisdom of Reiki. In Buddhism, a peaceful warrior is defined as one who is willing to know oneself and willing to face one's fears. This is the intent of vision quest in a nutshell. Change your perception, change your life. WHAT IS A JOURNAL QUEST? In 2008, I did a vision quest at Mount Shasta, spending 4 days and 3 nights in a small square encircled by 808 prayer ties. Preparation and execution of vision quest is quite rigorous. A seeker sits in sweat lodge before entering the sacred space and sits in sweat lodge again when returning and before breaking fast. It is a very powerful experience. However, not all are able or willing to undertake this intense journey. I believe that there are other roads that can be traveled to obtain the same results. For one, someone might consider camping out in their back yard for several days. 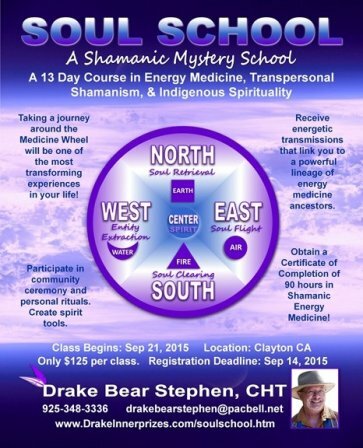 Another way is to take a shamanic transformation class most commonly marketed as “going around the medicine wheel”. I combined the intent of self-discovery with the art of journaling to create a “journal quest”. The journal becomes a record of your journey of self-discovery and revelation. By examining the deepest, darkest recesses of your soul and bringing your secrets into the light, a transformation of vision occurs. I have prepared a series of questions designed to prompt a self-examination. My integration stage includes a ritual to anchor your vision in the material world. The benefits of journal quest is that it is done at home, in your own time, and at your own pace. 1. Initiation – South Direction. Know Yourself. 2. Foundation – West Direction. Love Yourself. 3. Transformation – North Direction. Be Yourself. 4. Integration – East Direction. Share Yourself. The only materials required for journal quest are a journal and pens. However, additional items that support the journey are music that entrains the brain or shamanic journey drumming or rattling tracks that facilitate dropping into a beta brainwave state that facilitates deeper meditation. 1. Creating a vision altar placing items that represent your intent for this journey. Perhaps finding a vision stone in nature, lighting a candle, placing cornmeal, sage, tobacco, flowers, herbs, crystals, and/or prayer ties as offerings. 2. Creating a vision stick decorating it with feathers and other natural items. Focus on the intent of your journey as you create the stick. 3. Creating a small sacred circle with rocks or crystals to sit in just as you would on a vision quest. 7. Doing your journey in isolation, perhaps taking a day or two from your schedule to do nothing but focus on your journey. 8. Fasting during this time to intensify your experience is also an option. 9. Do some drumming, rattling, singing, chanting, or dancing. 10. Fire ceremony to conclude the quest, burning petition papers so that your prayers and intentions are taken on the smoke to the spirit world to be manifested. While journaling, sit, meditate, breathe, be, think, watch, listen, feel, surrender, be in the present moment with no judgment, expectations, or goals. 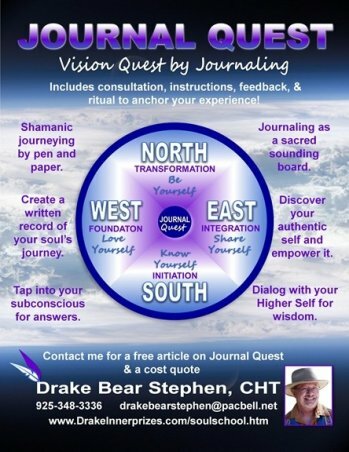 I offer the questions and mentoring support for your journal quest. If you are interested, please contact me. Heya, Great Spirit, Ancestors, and Spirit Guides. I feel you here with me, showing me the way and sharing your wisdom. I open my heart, mind, and soul to your spirit voices. Open the doors of opportunity as I am ready to step through them. Let me meet my guides and be shown a vision to help me as I travel my path and live my purpose in this lifetime. Protect me from my fears and any harm that might come to me. I have so much love and gratitude for all my spirit guides and teachers who help my Highest Good. Thank you, Great Spirit, for the clear vision that I will have. Let my love and gratitude float on the four winds to the corners of the Universe. Aho! These days we all are very busy in our personal lives and perhaps a bit reluctant to leave our home. And we have an amazing tool at home with which to connect without leaving home. This is the Internet. 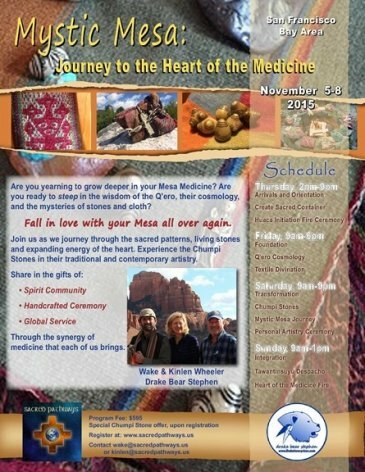 I have gotten numerous requests for shamanic training from individuals spread around the country. Most are not able to travel to me and it would not be economical for me to travel to each one of them. 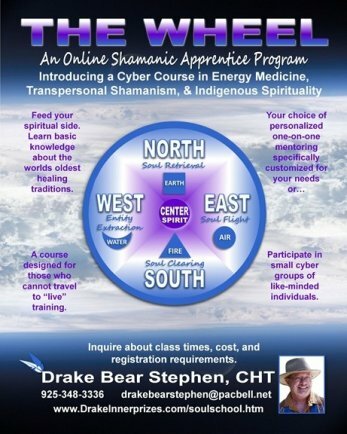 So I began offering many subjects from my Soul School: A Shamanic Mystery School as an online apprentice program. The best aspect of an apprenticeship is that it is designed especially for you and you alone. So we cover the topics that you are interested in and skip the ones you already know or have no interest in. The goal of this apprenticeship is to spend 1-2 hours on Skype every 1-2 weeks. Then we may formulate some homework such as doing a ritual. It will be optimal but not required to eventually meet in person to complete experiential work that cannot be done over Skype. Can you answer this series of questions associated with self-knowledge? Who am I? Where do I come from? Where am I going? What is my life’s purpose? What are my gifts? By knowing the answers to these questions, you become self-empowered. A self-empowered individual can manifest their dreams into being. Each one of us is a prize from the Universe to our Self and from our Self to the Universe. Each one of us has a unique gift to give. What we see when we look in the mirror is what the world reflects back to us. We get what we believe we deserve. The more we love ourselves the more of our dreams we can manifest. When we believe we are not good enough or deserve what we want, we block the flow of abundance, prosperity, and love. You may feel that you are blocked or stuck and unable to manifest your dreams. There are obstacles such as past contracts and vows, pre-life selection beliefs, past defeats and traumas that can be moved out of the way. Learning shamanic techniques will give you the tools to get your energy flowing freely.